Today is ‘Poem in Your Pocket Day’! And we’re thrilled to have a wonderful poet visiting the blog today: Jackie Hosking. 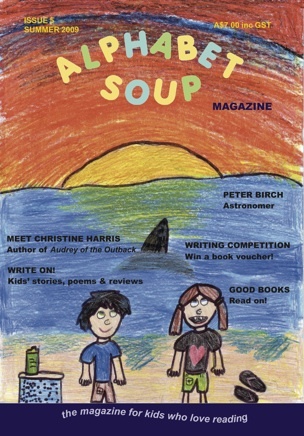 You can find one of her poems in the current issue of Alphabet Soup magazine (issue 6). Welcome, Jackie! Can you tell us a bit about yourself? I am a Nigerian born, Cornish, Australian. How can that be? Well, my parents are Cornish, they were living in Nigeria when I was born, they moved to Victoria, Australia when I was ten where I became an Australian Citizen. I left my parents’ home with my kitten, Gizzy when I was 18 years old. Gizzy lived to be 21 years old and I wrote a poem, ‘My Cat,’ in her memory. Now I live in a beautiful seaside town with my puppy Rex. Rex is a Blue Staffy and he wrecks (Rex) everything. I love walking by the sea and in the bush and discover many of my poems this way. I also love to read. I have been writing poetry for about 25 years. I wrote my very first poem when I was 17. I have been writing for children for about 5 years. You seem to love rhyming poetry in particular. Can you tell us why? I grew up reading poems by A.A. Milne. He wrote the ‘Winnie The Pooh’ books, and I always enjoyed discovering when a poem rhymed. I thought it was really clever and so doubly satisfying. Even though I love rhyme, I like the rhyme to be incidental, a bonus, not the whole focus but the icing on the cake. Do you prefer writing poems to writing stories? I much prefer to write a poem. I think it might be because I have a short attention span. I love how a poem can condense thoughts, feelings and descriptions into a powerful piece of writing. Poems are bite sized stories to be consumed greedily. Why do you like writing poems for children? I think because I never really grew up. Also I think when I write a poem, I try to write with a fresh eye, a child’s eye. Instead of having a bird’s eye view, I write with a child’s eye view. 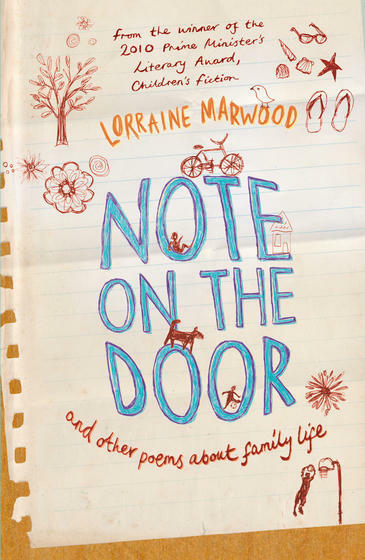 I have also written poems for adults, a few serious ones but mostly funny ones for parents with small children. Did you like poetry as a child? I didn’t really enjoy reading adult poetry as a child but I always enjoyed the children’s poets. I’ve mentioned A.A. Milne and there’s also C.J. Dennis, Dr. Seuss, C.S. Lewis and Roald Dahl. Who are some children’s poets you admire today? Of course, all of those mentioned above, as well as – Lorraine Marwood, Meredith Costain, Claire Saxby, Sally Murphy, Janeen Brian, Stephen Whiteside, Sherryl Clark and Edel Wignell, just to name a few. Do you have a favourite style of poem when you are writing? I like to think about my poetry as an artist might think of a painting. Poetry, to me, is painting with words. I’ve written all types of poetry, funny, sad, pretty, long, short, limericks but what is most important, for me, is the rhythm or the meter. It has to be perfect and I enjoy the challenge of getting it that way. Funny that you should mention a train. Two of my poems are travelling around Melbourne on the trains as part of the ‘Moving Galleries’ project. It’s such fun when someone contacts me to let me know that they’ve seen one. I also entered a very personal (and a little bit rude!) valentine’s poem into a competition where it ended up being included in the anthology. Do you have any advice for kids who want to write poetry? Think of poetry like making gravy – it needs to be reduced. It needs to be the essence of what you want to say. Less is always more where poetry is concerned. Use strong, sparkly words, become friends with metaphor and simile and don’t be afraid to be unique. Never use clichés – never say that something was ‘as cold as ice’. Find a new way like … the water was as cold as money. Where can kids find your poems? Many of my poems have been published in The School Magazine. Alphabet Soup has published ‘The Moon’ and ‘A Raindrop Race’. The Poem a Week Project – ‘To Catch a Dewdrop’. How do you get ideas/inspiration? Ideas can come from anywhere. Walking stirs up lots of ideas, as do my pets. Nature is a favourite, the flowers, the birds, the beach. I love to capture all of these things and display them on the page. Today is ‘Poem in Your Pocket Day’. Would you share one of your poems with us today? 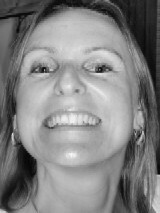 You can find out more about Jackie Hosking at her website: www.jackiehoskingpio.wordpress.com. 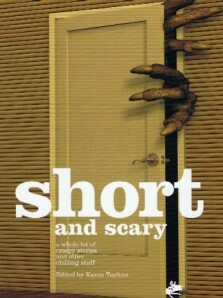 Her most recent publication – ‘At the end of the Street’ is included in the anthology, Short & Scary. Coming Thursday – children’s poet, Jackie Hosking! Be sure to come by on Thursday. 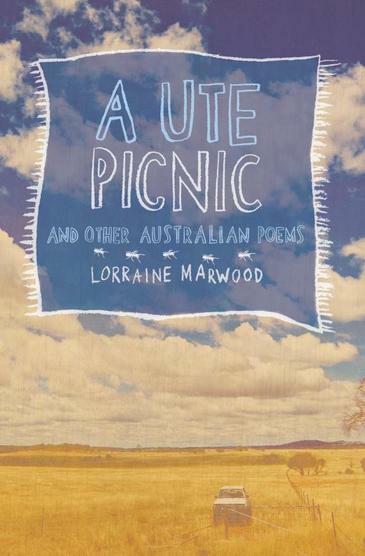 It’s Poem in Your Pocket Day and we’ll have children’s poet, Jackie Hosking visiting!